The Aviation Safety Council published its final report of the investigation into a flight deck overheat incident on an ATR-72, highlighting the crew’s response and their failure to identify origin of the hot air. On July 1st 2013, Trans Asia Airways flight GE5111, an ATR 72-500 aircraft, took off from Taipei Song-Shan Airport for Kaohsiung Airport. On board were 72 passengers and four crew members. During climb, the cockpit temperature began to rise due to hot air that was blown out of the air conditioning vent. A white vapor like moisture appeared. When the aircraft had reached an altitude of 4,000 feet, a master caution sounded and the “OVERHEAT AIR” was illuminated on the instrument panel. 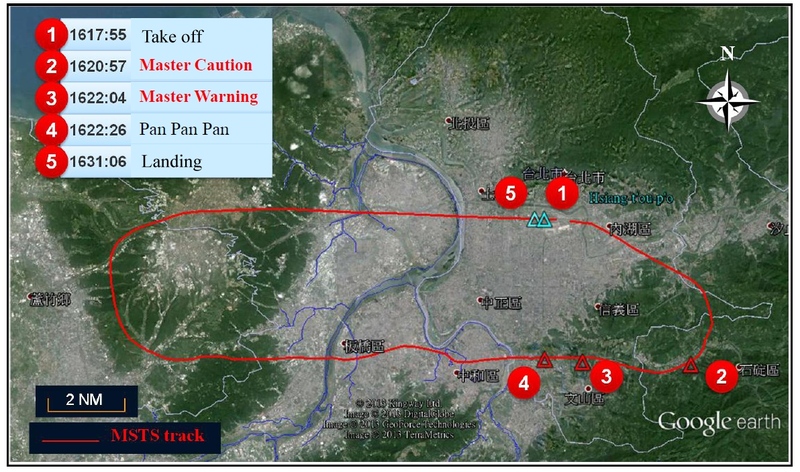 The captain instructed first officer to request Taipei Approach radar vectors back to Song-Shan Airport. At 5,300 feet, the flight crew had not yet started the Engine #1 bleed overheat procedures. Meanwhile the master warning continuously sounded and the Electric Smoke light illuminated. The captain disengaged the autopilot and instructed the first officer to request an emergency landing. A Pan pan was declared. Both flight crew believed there was no electrical smoke therefore memory items were not executed and oxygen masks and goggles were not donned. When the aircraft descended through 3,000 feet, the crew opened the avionics vent exhaust. The vapor disappeared and the warning light was no longer illuminated. The temperature came back to normal level. The aircraft landed safely without further incident. Use the FSF research as a reference to review the appropriateness and completeness of the design philosophy of ATR smoke procedures, including: use bigger font that are more distinguishable, evaluate oxygen mask and goggle application as required or set items, evaluate adding diversion as an option in the procedure and list the operation consideration during an emergency landing situation. Review the deviation between Flight Operation Manual and Flight Crew Training Manual regarding flight crew task sharing principles during abnormal and emergency situation. Review the emergency procedures in Flight Operation Manual that do not include smoke elimination, revise as appropriate so that flight crew can execute smoke procedures more efficiently.